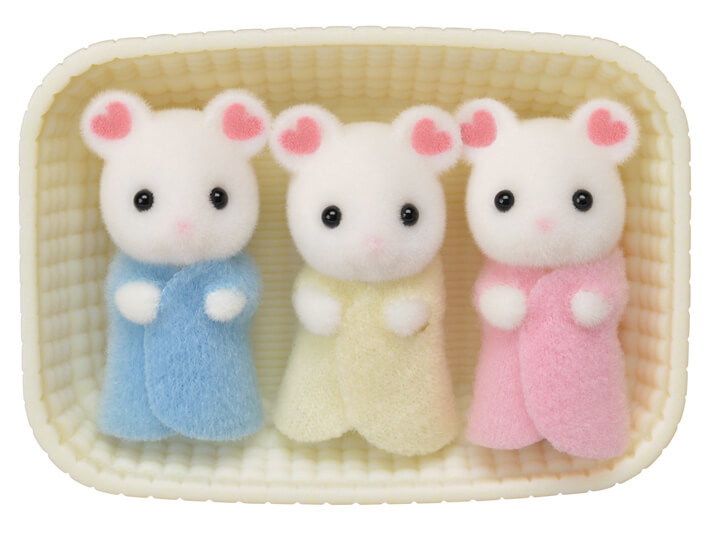 Calico Critters Marshmallow Mouse Triplets introduces the incredibly cute-sized triplets! 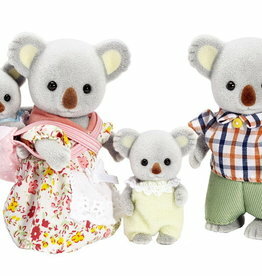 The set includes the triplets and cradle. 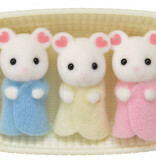 Marshmallow Mouse Triplets are characterized by flower petal patterns on their ears. 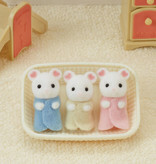 This is the first time cradled triplets have made an appearance in Calico Critters. All 3 cradled babies can be put to bed in the included cradle. 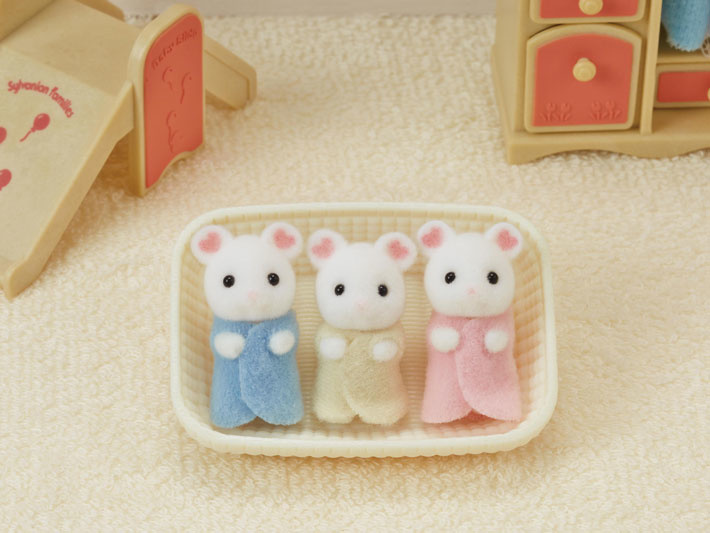 Have even more fun playing together with Marshmallow Mouse Family (sold separately). 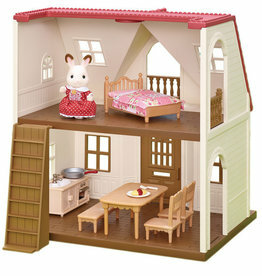 Combining with other homes and furniture allows for even more enjoyable pretend play (sold separately). 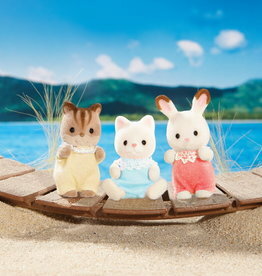 Calico Critters are just the cutest little animal friends ever! 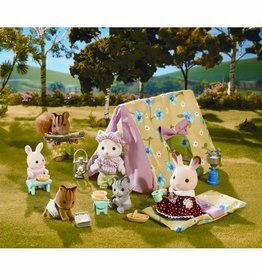 Teeny, tiny, soft and fuzzy, they're the most loveable creatures this side of Cloverleaf Corners. 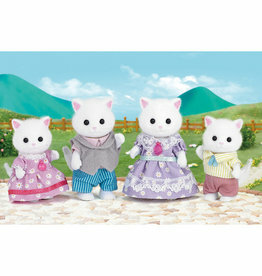 Calico Critters Baby Friends Have fun playing with Baby Friends Luke, Grace & Faith! Say hello to little Sophie Snowbunny! 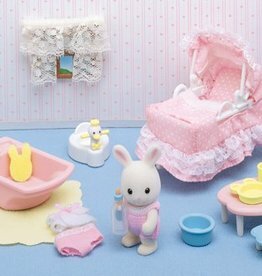 Feed Sophie, give her a calming bath and tuck her into her beautiful bassinet as she drifts off to dreamland! 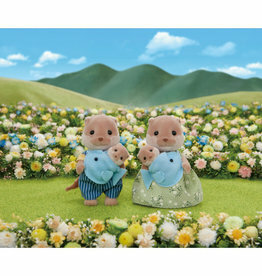 Splashy Otter Family includes 4 figures: Splashy Otter Father, Mother, and cradled babies.